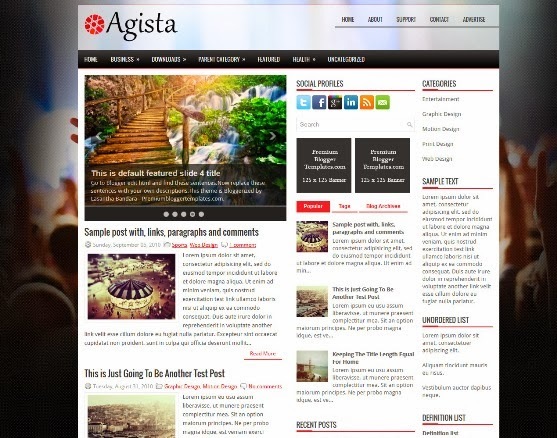 “Agista” is a free blogger template with features such as 2 Sidebar, 3 Column, 4 Column footer, Adapted from WordPress, Fixed width, Responsive, Magazine, Premium, Slider, Tabbed widget and Top Navigation Bar. 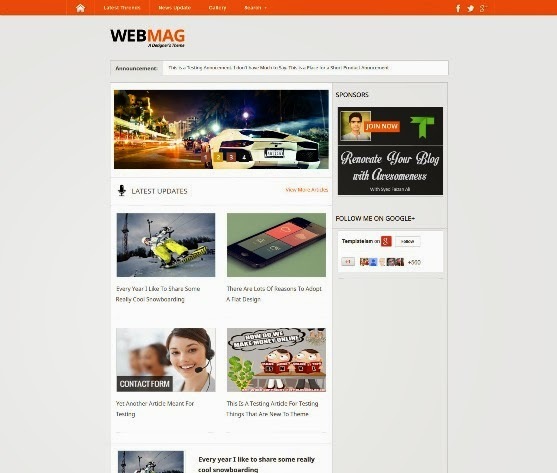 The WebMag Blogger Template is a robust and multi-purpose magazine theme for Blogger enabled websites. This theme is ideal for all kinds of websites, it is a multi-niche template specially designed for Magazine, Technology, Web designing, development, and gadget based blogs. 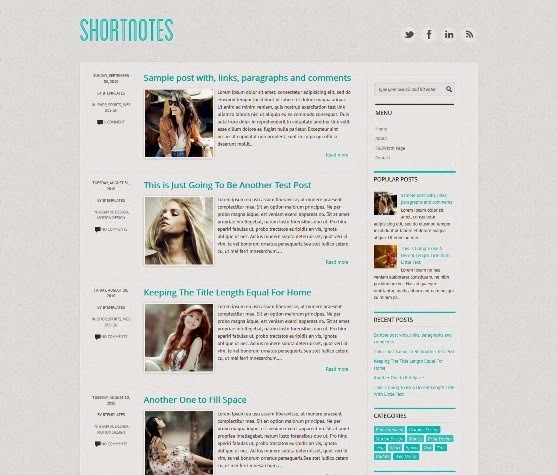 Shortnotes is a Free Blogger Template. Features are 1 Sidebar, 2 Columns, Adapted from WordPress, Fixed width, Magazine, Responsive, Right Sidebar and Top Navigation Bar. This theme has grid layout and labels separated post which will help you to show the post on your blog with different labels. If you are thinking to start a blog on Android, technology, gadgets, smartphone then this theme is perfect choice for your blog. Key Features: Seo Friendly, Drop Down Menu, jQuery ready and Threaded Comment Style. 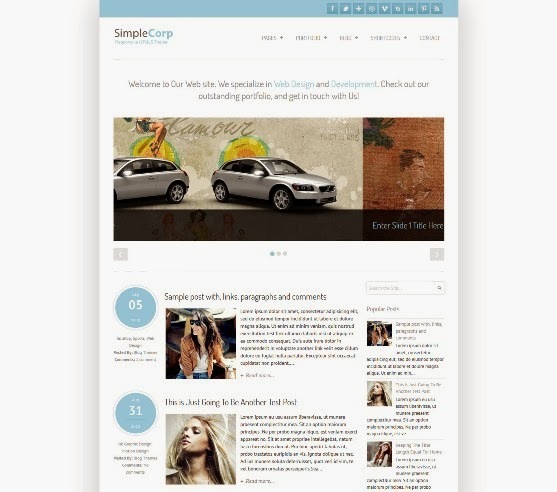 SimpleCorp is a Responsive Blogger Template. Features are Responsive, 1 Sidebar, 2 Columns, 4 Column Footer, Adapted from WordPress, Blue, Elegant, Featured Section, Fixed width, Fresh and Magazine. 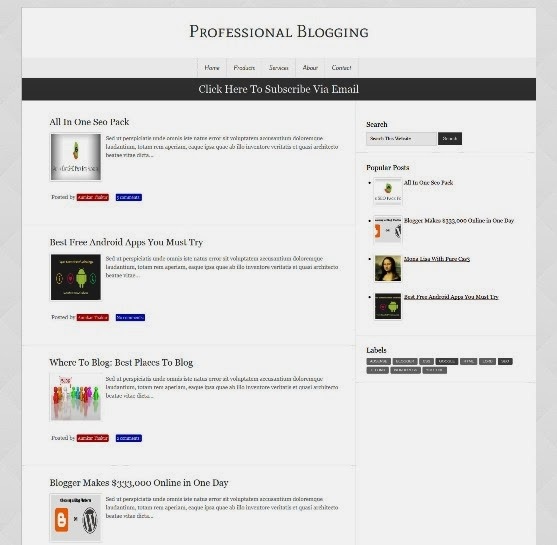 DCM V2 Spring Green – Free Blogger Template. Features included: Infinite Scroll, Grid system, Threaded comment system and Exif Data Overlay. 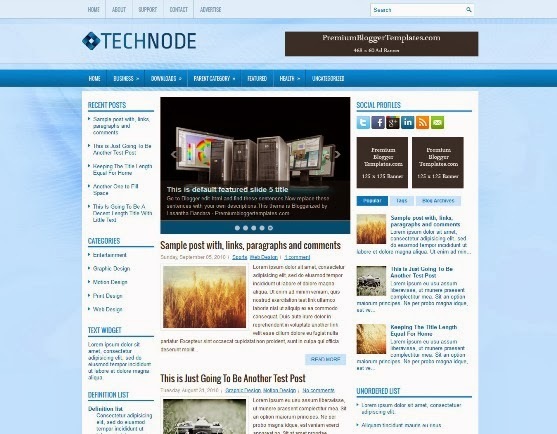 TechNode is a Responsive, 3 Columns Blogger Template for Tech Blogs. 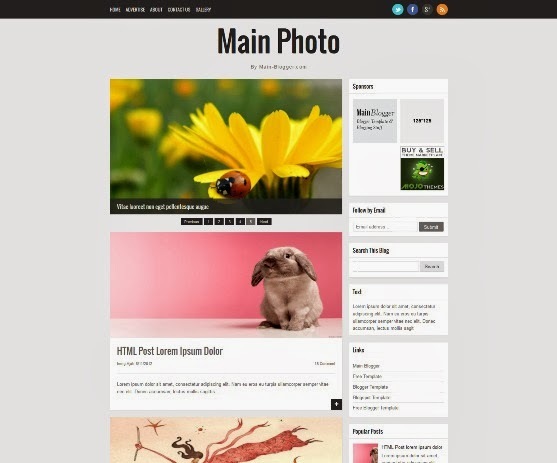 Features are 468×60 Header Banner, jQuery Slider, Dropdown Menus, 3 Columns Footer,Tabbed Widget and more. Introducing a new responsive template blogger from Main Blogger, this template was design by Ireng Ajah from main.blogger.com. It was designed for gallery content blogger especially for your photography collection. 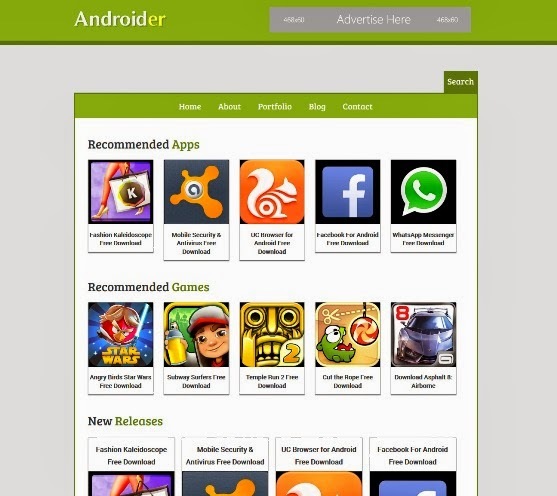 This theme is full package of professional design and features. When your users will see this theme on your blog then they will really go crazy in thinking that whether this blog is hosted on blogger or WordPress.